As was custom, Parks presented hundreds of negatives to his editors at Life, who in turn selected and edited 21 images from that collection to tell the story of Jackson and his friends. 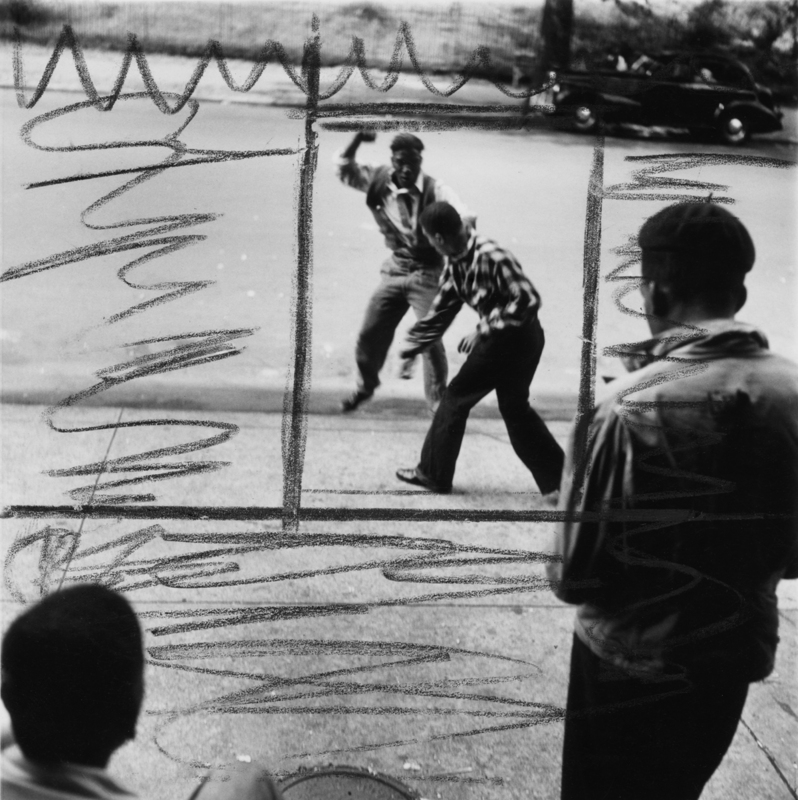 Gordon Parks: The Making of an Argument, a touring exhibition making its final stop at BAMPFA, deconstructs the editorial process behind that photo essay while also proposing an alternative story about Jackson and his life in Harlem. As a medium, photography carries implicit values of accuracy and impartial documentation. But there is a dangerous deceitfulness to still images -- so much can be left unseen. Russell Lord, curator at the New Orleans Museum of Art and organizer of The Making of an Argument, resists the notion of objectivity behind the photo essay. Instead, Lord presents a show that concentrates on the choices made by the editors at Life magazine: What biases might they have had towards the sensational and stereotypical? Why did they darken or crop images to distort Jackson’s appearance? Were these choices and the messages they relayed in opposition with Parks’ intentions -- or, even more importantly, to the truth of Jackson’s life? 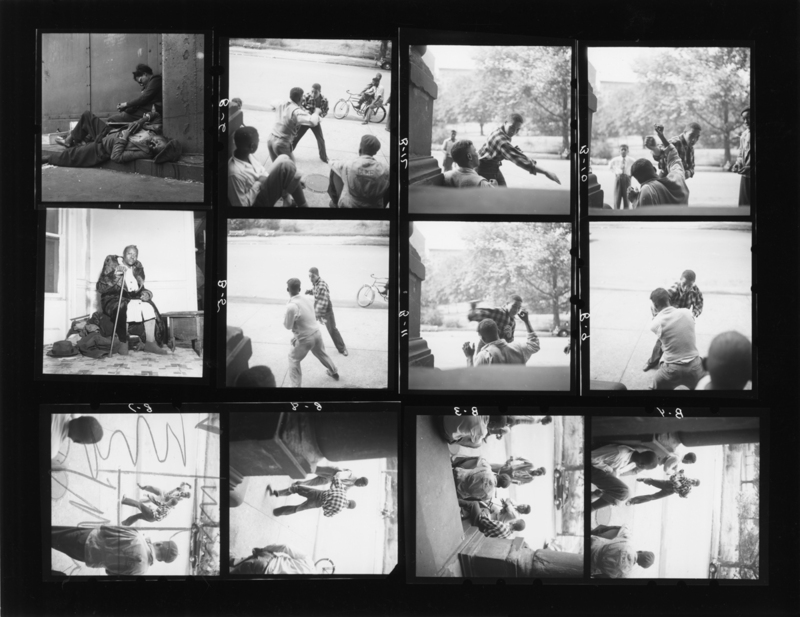 Through contact sheets covered with notes from editors, Parks’ unpublished photos, and additional context, the exhibit makes a strong argument for the presence of racial bias in Life’s “Harlem Gang Leader” story. The first display in the exhibit features enlarged prints of the published photographs, laid out on the wall to mimic the magazine’s version of the story. Notably missing is the text that Parks provided to his editors. At a talk following the exhibition's BAMPFA opening, Lord argued that this is in fact how most folks consume photo essays -- primarily through images and without much input from words. There lies the show’s first argument: the visual story holds the most weight. In the 21 images featured in Life, we see the teenage Jackson looking out a window with a cigarette perched on his lips, play fighting with a friend, getting a scratch tended to by another, sitting with family, looking into an open casket at a funeral, and hiding in an abandoned building. Further along in the exhibit, magazine excerpts and gallery wall text illuminate the stories behind photographs from Life that are harder to decipher without context. These include images of a brawl between two crews, Jackson and the Midtowners painting repaired bikes to ride together, and the teenage leader receiving the honor of “boy mayor” after his mentor, police officer Jimmy Morrow, recommended him. In these pictures, the gang Jackson led is better understood as a unit that found safety in numbers and camaraderie in each other’s company. Lord elaborates on Jackson’s life using photos the editors discarded. Many document quiet, domestic moments. In one, Parks shows the young man sweeping the home he shares with his mother and brother. In others, Jackson fidgets with a radio and combs his hair in the mirror. 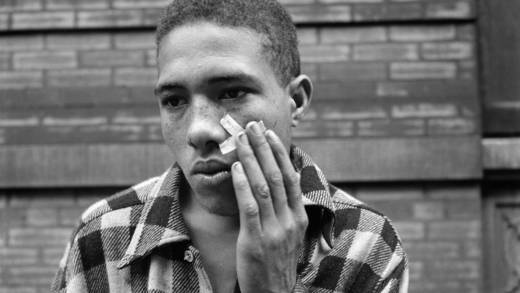 Parks intentionally documented these radically ordinary moments of Jackson’s life, but they were omitted from the magazine; they didn’t fit the Life narrative of a Harlem gang leader. These revelations make the show unambiguously opinionated, but there’s still much in The Making of an Argument for the audience to ponder. 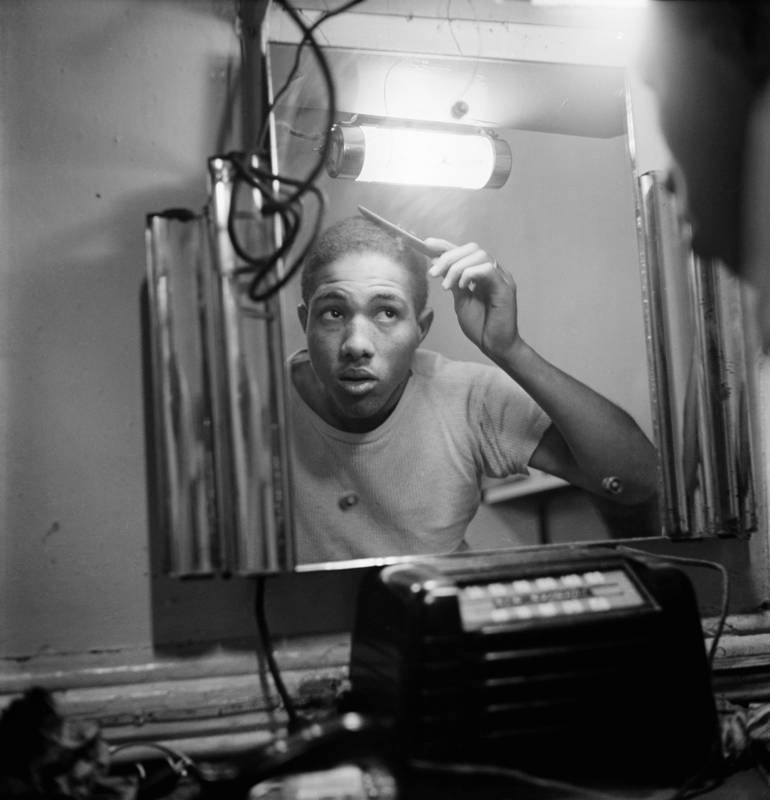 I came away thinking about the audience served by seeing a young Black man -- who by Parks’ account was desperate to find legitimate work and a good life -- solely as a violent gang member. I contemplated the consequences, at personal and policy levels, that such perceptions of young Black folks inform. Jackson’s leadership, whether it be in the Midtowners or elsewhere (later in his life, he reached out to Parks, seeking opportunities to educate youth), is evident in the photographs Parks took. It's impossible not to wonder what might have become of his life had he lived in a place with more abundant possibilities than post-World War II Harlem. Or if he hadn't been a young Black man about which the world had already made up its mind. 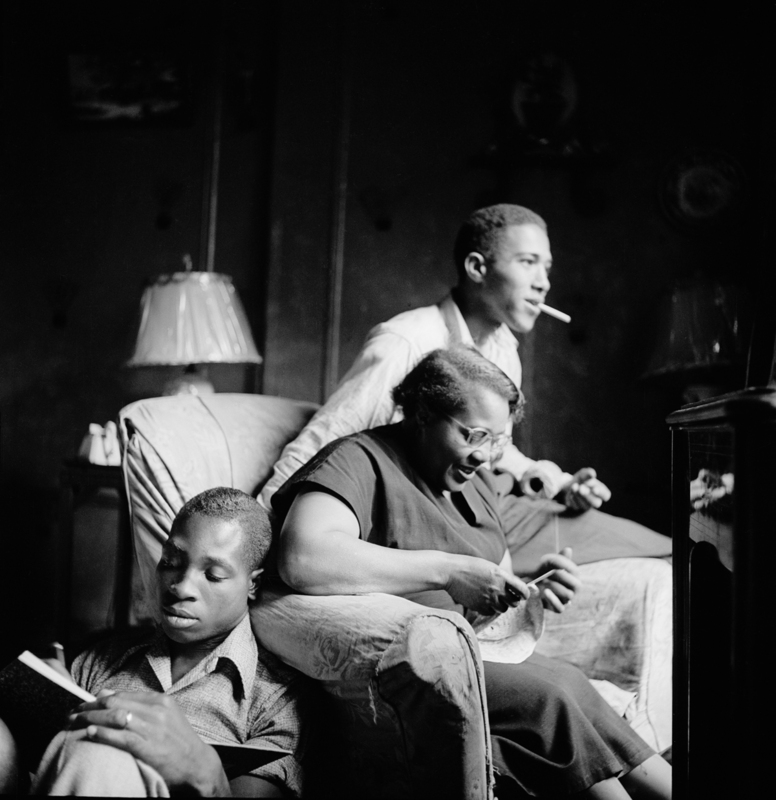 'Gordon Parks: The Making of an Argument' is on view at the Berkeley Art Museum and Pacific Film Archive through Dec. 17. For more information, click here.